Over the last handful of years, TechPats has been invited to teach and present on several patent and IP topics, to companies and law firms in North America, Europe, and Asia. Some of our recent lessons have been approved for CLE credits in multiple states. Our team has presented to audiences of various technical backgrounds and differing degrees of familiarity with patents and IP. We have also produced private webinars for viewing at multiple company sites. 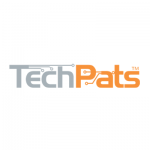 TechPats can custom tailor a CLE, training session, or demonstration for your team.